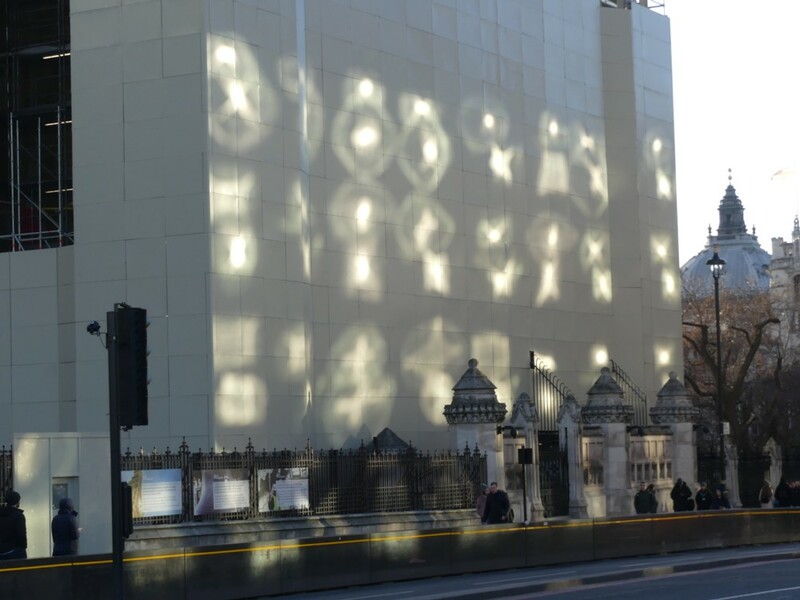 That’s the scaffolding covering, at the bottom of Big Ben, and those reflections are from the windows of the building across Westminster Bridge Road, with the big towers on the top, the one where the MPs have their offices. The one on top of Westminster Tube Station. Portcullis House, that’s the one. 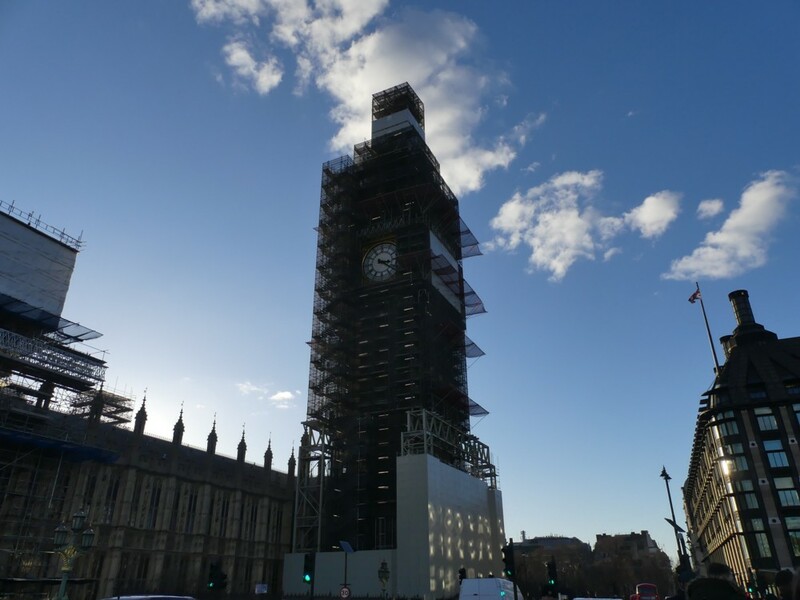 As you can see, and as all Londoners will already know, Big Ben is smothered in scaffolding, while it gets a makeover. The sunlight, as you can now see more clearly, is coming from over Parliament, bouncing back off the windows of Portcullis House on the right, and hitting that white surface at the bottom of Big Ben.